Spain is a real economic powerhouse on a global scale. With close to 47 million inhabitants it has cultural, trade and overall leverage in most spheres and areas. For business people looking to establish and start a business or expand their current operations, Spain is a lucrative and very intriguing market that deserves the utmost respect. Due to the country being in the European Union, it has all of the necessary infrastructure and legal systems that let businesses flourish without too much bureaucracy or barriers. Spain is the cultural epicentre of the entire Spanish-speaking world which has close to half a billion representatives in South and Central America along with the Philippines and the Caribbean. Chances are if your business succeeds in Spain, expanding to the mentioned regions would be much easier. That is also caused by the fact that the overwhelming majority of the Spanish world are Catholics are very passionate and share an unwritten bond between one another. Regarding starting a business’ in Spain, you need to take care of a few things before you establish a company. In general, a Spanish business visa can work for non-EU foreigners who seek to create and build a business in this country. 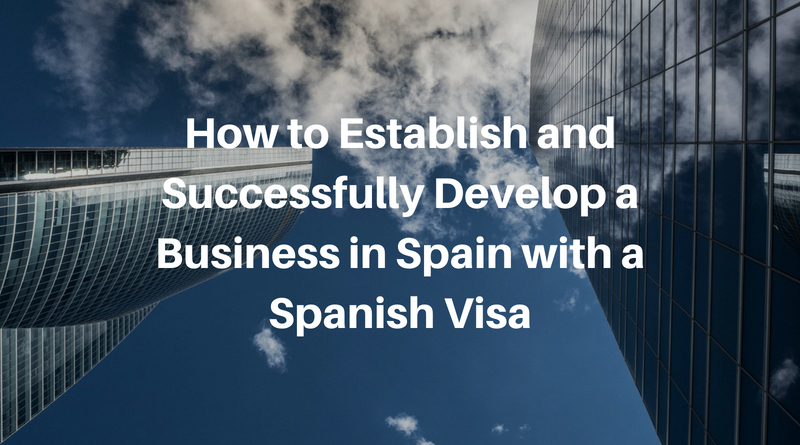 This visa helps in a lot of ways because it provides a legal ability to become an entrepreneur within the Spanish territory and the Schengen zone. There are a couple of different visas you can get. The visas are separated by the number of entries they allow and the type they fall into. For non-EU residents, having a permit is a must because otherwise your entry will be denied and you will be forced to forget about your dreams to open a bakery or a tourism agency along with anything else you had planned. Talking about a Schengen short-stay visa (C) – it is tough to get. You will have to provide bank statements along with having an invitation (written in Spanish) from a legal or residing person living in the Kingdom of Spain. Most common and frequent is the national visa’s (D). With this visa, any person can work or legally open up a business by remaining a citizen of a non-EU country. This visa is issued for a timeframe not longer than 365 days. So, a Spanish business visa (also a Schengen visa) opens up doors in 20 other countries and millions of customers on the continent. This is well worth the price because in-return you can get a broader amount of choices along with becoming familiar with the surroundings of different environments as well. EU is known for the full and equal opportunities that it tries to give to everyone and succeeds. Do not ignore the benefits of free trade and hop on board with a Spanish business visa. People coming from certain parts of the world could face longer visa approval times, but that is required due to stricter background checks and more extended exchanges of information between parties. You will also need some initial documents to apply for the visa and provide some additional papers or do the necessary steps if asked to, to proceed. These procedures are mostly standard, and you shouldn’t have anything to worry about. What’s in it for you if you decide to take a Spanish Business Visa? Opportunities – first of all. As mentioned, Spain is a strong market, one of the most influential in the entire region and the real heart of the Spanish-speaking world so you can establish and begin a global brand right here, in Madrid, Seville or somewhere along the coast of the Mediterranean Sea. With these requirements met, you should be able to get in and work on your business without any future worries. Just don’t forget that visas do not last a lifetime and need to be renewed periodically so if you find success in Spain that is going to be a thing you will frequently be doing. Worried about leaving your family? You can take them with you by selecting a different type of visa for them. Temporary residency or short-stay visas can help you reunite or be together with your beloved ones in a foreign country so you can feel comfortable and be fully immersed in business development 24/7. With Spain, it’s all about your vision and what you have in mind. The market is competitive, but it is rewarding and full of opportunities like no other on the planet. The Spanish people are known for their hot temperament and extreme passion for art, culture and sports. However, your business could be something entirely different, and you could find endless amounts of success to compliment your personal goals and help you raise your business to a new level. Just don’t forget that without a business visa – none of this will ever happen.